To Reserve your hotel rooms for 2019 online, go to PASSKEY, or call the Hyatt Regency Jersey City at 201-469-1234 and ask for Reservations. The FEST room rate is $199.00 per night.The hotel sold out this year and once again, the Hyatt House (just around the corner) is our overflow hotel. 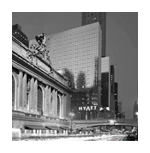 Their #201-395-0500, 1-800-993-4983, or click HERE to book your rooms online (same rate). All Day/Night Parking at the Hyatt Regency Jersey City is reduced to $15.00 per day for the FEST. Valet Parking is also available, at $25.00 per day. The Hyatt Regency is spectacular and so are the views of NYC, with the hotel shaped like a cruise ship that juts out into the Hudson River, directly across from the Freedom Tower at 1 World Trade Center. The Riverside part of Jersey City is the fastest growing area in the entire state. There are jamming areas, too, for those late night after FEST sessions. Easy access by PATH, with the stop immediately next door to the hotel. If you are planning to Fly in, American Airlines is our Airlines of choice. 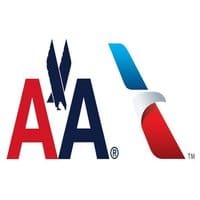 Go to www.aa.com and book your flights. Newark Airport is the most convenient to fly in and out of, but LaGuardia and JFK are still options. Please us code A5139EL for a 6% discount off published fares (excluding basic economy and non-discountable fares). You may also call AA at 1-800-433-1790.